Business email services need to rely on spam filters as a part of their overall network security. Read why below. Keeping your business safe from threats is critical to your success, and your email is just one area that needs its own protection. Email systems pose a unique threat to your businesses overall data security, it can be easy to manipulate and is far more threatened by human error than any other area of your network. Creating a safe and secure email system requires not only the training and diligence of your entire team but the use of a properly maintained spam filter. Most modern email systems have a built-in spam filter, but these are not reliable on their own. Spam can come in a variety of forms; not only is it the annoying and inbox-clogging form letters and fliers, but it can come in seemingly reputable forms as well. Moving to an upgraded spam filter can help save you time and money by helping to keep the clutter out of mailboxes and prevent anyone from opening a potentially dangerous email disguised as something simple. Spam filters work by checking the content of emails as well as their headings and senders to help sort incoming mail into either your inbox or a spam folder. Some only look at the content of the email while others look at more aspects and can analyze even who is sending emails. Not every business is going to need a high-end top security spam filter. 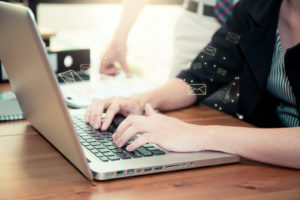 Depending on the number of employees you have, the intensity of your incoming mail, and the level of secure information your company deals in you may not need much more than the traditional spam filters. If your business is large and deals with more sensitive information, utilizing a high-end spam system can be incredibly beneficial. This entry was posted on Friday, March 22nd, 2019 at 3:39 pm. Both comments and pings are currently closed.